Also wrote romantic thrillers under the pseudonym Jacob Morrow. New York Review of Books: Olivia Manning was born in Portsmouth, England, and spent much of her childhood in Northern Ireland. Her father was a penniless British sailor who rose to become a naval commander, and her mother had a prosperous Anglo-Irish background. Manning trained as a painter at the Portsmouth School of Art, then moved to London and turned to writing. She published her first novel under her own name in 1938 (she had published several potboilers in a local paper under the name Jacob Morrow while a teenager). The next year she married R.D. “Reggie” Smith, and the couple moved to Romania, where Smith was employed by the British Council. During World War II , the couple fled before the Nazi advance, first to Greece and then to Jerusalem, where they lived until the end of the war. 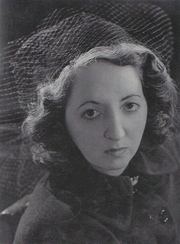 Manning wrote several novels during the 1950s, but her first real success as a novelist was The Great Fortune (1960), the first of six books concerning Guy and Harriet Pringle, whose wartime experiences and troubled marriage echoed that of the diffident Manning and her gregarious husband. In the 1980s these novels were collected in two volumes, The Balkan Trilogy and The Levant Trilogy, known collectively as Fortunes of War. In addition to her novels, Manning wrote essays and criticism, history, a screenplay, and a book about cats. Olivia Manning is currently considered a "single author." If one or more works are by a distinct, homonymous authors, go ahead and split the author. Olivia Manning is composed of 3 names. You can examine and separate out names.